This website is operated by ArtGrad.net Ltd. The following terms and conditions govern your use of this website and by using this website you agree to them. If you do not agree to these terms, please leave the website immediately. The information on this website is intended to be helpful to both artists who engage with us and potential and actual customers. Despite our best efforts it is possible from time to time that some information may be out of date. As a result of the above ArtGrad.net Ltd cannot take any responsibility for the consequences of errors or omissions. The operators of this website, its agents and employees, are not liable for any losses or damages arising from your use of this site. The title, ownership rights, and intellectual property rights regarding content on this website, whether provided by us or by any artist shall remain the sole property of us and / or the artist. The images displayed via the website of the works of art are deliberately low-resolution and are watermarked. You may not copy, modify, publish, transmit, transfer or sell, reproduce, create derivative works from, distribute, display, or in any way exploit any of the content, in whole or in part of this website. You may download or copy this website’s content only for your own personal use, provided that you maintain all copyright and other notices contained. All the works of art that are featured on ArtGrad.net are potentially for sale. HOWEVER - please note, we will need to verify with the artist that the individual piece of art is still available. WE WILL NOT CHARGE your debit/credit card until we have confirmed with the artist that the art work is still available for sale. Alongside each work you will find information on the artist, price & size. All works are unframed unless otherwise stated. All prices are shown in Sterling and include Value Added Tax (VAT) and delivery to an address in mainland UK. Should you require delivery to other geographic locations, additional carriage charges, to be agreed with you, will be levied. Goods will be dispatched directly from the artist within 5 days of confirmed order, to the address you have specified. If you are not completely satisfied with any work bought from us, you can receive a full refund (excluding delivery costs) by returning the work within fourteen days of receipt. Please note, this means that in case of a return you are liable to pay the costs of shipping back to the artist. You will be responsible for the cost of returning the work to the artist in its original condition and of insuring it during transit, except where the work is faulty or the wrong work has been dispatched. PLEASE NOTE: in the case of work that you have commissioned, no return is possible. Hyperlinks contained in this website lead to other websites. Although we check these sites regularly, they are not under our control. We cannot guarantee that these links will work all the time. A link to a third-party website does not imply endorsement; use your own judgment to decide whether the information or service on that website is suitable for your needs. If a website is not linked to, this does not mean or imply that it is unsatisfactory. The websites we link to are regularly reviewed in the light of customer usage and feedback. 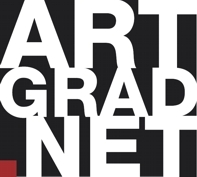 ArtGrad.net Ltd has made every effort to check and test this website during production. However, we would advise you to run an anti-virus program on anything you download from the Internet. We cannot accept any responsibility for any damage to your computer system or loss of data caused by using this website. If you have any queries resulting from reading these Terms and Conditions please let us know via our Contact Us page. As an artist, we fully recognize your right to all intellectual property in any artwork you may chose to display /sell through our site. When you upload an image of your artwork to the site, we will automatically make the image low-resolution and add a watermark. This is for your protection. The site is free for artists to use and upload images to. We will charge 50% commission on all sales; this sum will be debited from sums received before the remaining amount is paid to you. We will pay any sums owing to you within 28 days after we have received payment for the item from the customer. All the works of art that are featured on ArtGrad.net must potentially be for sale. It is your responsibility to ensure that, if you sell a piece of work through another route, you update your personal gallery with this information. All works will be assumed to be unframed unless otherwise stated. Please note, we will verify with each artist that an individual piece of art is still available for sale if a customer wishes to buy that piece. We will verify this as quickly as possible: we will check with you via email or telephone that the piece is still available. WE WILL NOT CHARGE the customers debit/credit card until we have confirmed with you that the art work is still available for sale. It is up to each individual artist to decide what to charge for each art piece. Please note, that we will also add VAT at 20% to the price you set. When we have confirmed the order with the customer, and received payment from them, we will inform you. It is part of the conditions of usage of this site as your route to customers that you dispatch goods directly from yourself to the customer within 5 days, to the address specified. If the customer is not completely satisfied with any work bought, they can receive a full refund (excluding delivery costs) by returning the work within fourteen days of receipt. We will then refund them. The customer is responsible in case of a return for the costs of shipping back to the artist, in its original condition and of insuring it during transit, except where the work is faulty or the wrong work has been dispatched. PLEASE NOTE: in the case of work that has been commissioned from you, no returns are possible.